Qigong is a thorough and comprehensive exercise system that trains the body, breath, mind, and spirit. The term qigong can literally be translated as breath or breathing work. While the word qi is difficult to translate and can be translated in different ways depending on the context, in regards to qigong, it can be said to refer to the breath or breathing process, vital force, vitality, life force, strength, or even matter-energy (the intrinsic substance or vital force behind all things in the universe, or the medium between and within all substances). Some say that qi can also refer to all types of energy – electrical, heat, bio-electricity, chemical, kinetic etc. In its broadest sense, qi can be regarded as a type of energy, which enables one to develop and demonstrate power and strength. Gong can mean labor, function, work, or the power to produce an effect, but more specifically, with regards to Qigong or Gong Fu (Kung Fu), it means an accomplishment, achievement, or skill, which is attained through time, steady practice, and hard work. Together the words qi gong can also mean ‘the attainment of qi’. 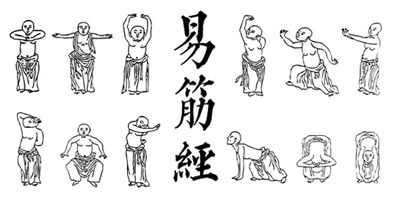 There are written records of qigong that date back thousands of years. It is one of the many treasures of ancient knowledge that has a solid theoretical and empirical foundation. It is important to make a distinction between qigong training and other forms of physical training or meditation. It is a complete and comprehensive discipline for the body-mind-spirit. Each different aspect of qigong training has a direct influence over the others. The mental aspect of qigong training is considered the most important, as it is our mind that has the greatest influence and control over the body’s qi. Our mental and emotional state has a tremendous impact on our physical health and wellbeing; however, breathing and posture are also very important, because these can affect our mental and emotional state, especially in our day-to-day lives. Because the mind, the posture, and the breath all influence each other, it is important not to neglect any of these aspects when practicing qigong. As a comprehensive system of exercise, regular practice of qigong can strengthen and relax the entire body, regulate and improve internal organ function, and calm and regulate the mind and emotions. It will also increase one’s ability to understand the body and human nature and help to become more conscious of the mental and physical patterns that bring about disease, illness, and suffering. While some forms of qigong are practiced while sitting, most are performed using a variety of different standing postures and/or movements. Most qigong movement is practiced slowly. This helps the practitioner to understand and refine the movement and facilitates deep, slow breathing. Qigong also utilizes relaxed movement. The body works better and more efficiently when relaxed, and this also trains one how to relax in day-to-day life. Because qigong can be translated to mean “breath work”, breathing is obviously a very important aspect of qigong exercise. Slow and deep breathing helps to improve oxygen intake and blood circulation, and it helps to train the body to be more efficient. Because a lot of the muscles used for respiration also support the posture, optimal breath requires correct posture, and correct posture cannot be maintained without deep and relaxed breathing. For this reason, qigong is excellent for improving posture and resolving chronic pain as the result of poor alignment and body mechanics and stress-tension held in the body. Correct breathing can also help to regulate the mind. When the breath is regulated, the mind is able to enter a deeper level of calmness. This in turn can improve concentration. By learning how to pay attention to and focus on the breath, one can reduce scattered thinking. Because the breath is the only function in the body that is both voluntary and involuntary, it provides an important link between the body and mind, and the conscious and unconscious aspects of the mind. By learning how to regulate the breath, you can learn how to regulate the mind. A focused and calm mind can in turn be utilized to regulate the body and the breath. All three aspects must work together in a unified and harmonious fashion in order to obtain optimal health and wellness. It is not possible for the internal organs to function optimally when the mind is agitated and a person is stressed. Only when the mind is calm, balanced, and at peace, will the organs be able to function properly ensuring good health and wellbeing. By studying the breath and practicing the special breathing and movement techniques of qigong, one is provided an important tool to help understand how the body and mind affect each other. This will help to understand the true meaning behind the body/mind paradigm that has been at the center of Eastern medicine for centuries, and is playing an increasingly important role in Western medical research. Once you can regulate the breath without conscious attention, you will be able to attain physical, mental, and emotional harmony. You will be able to develop the ability to sense problems before they occur. This can hold true to both your health and life in general. Qigong is not just a form of exercise and self-healing practice; it is also a form of life training. Many of the principles at the foundation of qigong practice are universal in application and may be used to serve you in many aspects of your life. Yang, J. M. (2004). Back pain relief : chinese qigong for healing and prevention (2nd ed.). Boston, MA: YMAA Publication Center.